NVIDIA Forceware 306.23 WHQL is the new stable of NVIDIA drivers, released the first WHQL certified version that includes support for Windows 8, Windows 7 and Windows Vista in the same package. In this new version of the NVIDIA driver will include improvements in the performance of several video games like Battlefield 3, Batman: Arkham City or Dragon Age II, and also includes support for NVIDIA graphics cards of the 600 series. 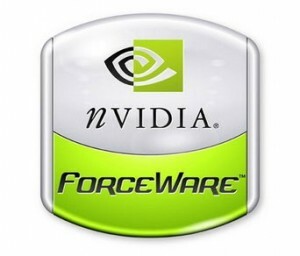 This new version of the NVIDIA drivers is available for the operating systems Windows XP, Windows Vista, Windows 7 and Windows 8, in both versions of 32-bit and 64-bit. How to update NVIDIA drivers? If we update our NVIDIA drivers, it is highly recommended to first uninstall previous drivers completely, then perform cleaning remains of drivers using the programs Driver Cleaner or Driver Sweeper, and finally install the latest version of the drivers. What’s new in the latest NVIDIA drivers? Added support for the new GeForce GTX 660 Ti, GeForce GTX 660 and GeForce GTX 650. Added notification of compatibility with previous versions. Added support for NVIDIA TxAA, a new anti-aliasing technique. It enhances the performance of games like Batman: Arkham City, Battlefield 3 or Dragon Age II on GeForce GTX 680 and GeForce GTX 560. Added and updated SLI profiles and 3D Vision for several games.